I was going through my Goodreads stats yesterday and realized that this has been an autumn of... either science fiction or speculative fiction, depending on your definition. I don't personally differentiate them (not on GR, anyway), but I can see the value of doing so. My issue would be figuring out just how to pick which category each book falls into! 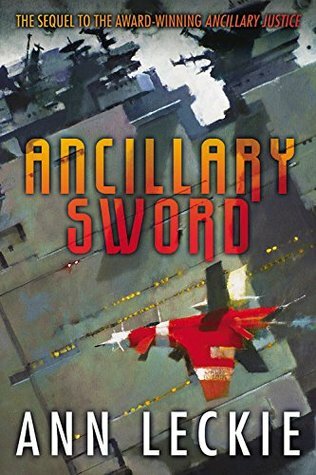 Here are some quick reviews of the sci-fi/spec-fic I have read most recently, and one I've only just begun. 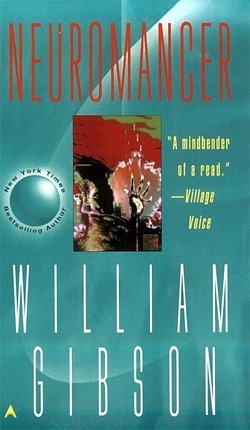 Like War and Peace or Pride and Prejudice for the classics fiend, it seems like Neuromancer is required reading for any sci-fi fan worth his or her salt. I definitely see why Gibson is considered one of the big daddies of the cyberpunk genre—this book is oozing with tech jargon and dystopian atmosphere. His descriptions of Night City in Chiba particularly hit the mark, evoking the image of a frantic, dog-eat-dog world, "a deranged experiment in social Darwinism, designed by a bored researcher who kept one thumb permanently on the fast-forward button." Ned Henry is badly in need of a rest. He's been shuttling between the 21st century and the 1940s searching for a Victorian atrocity called the bishop's bird stump. It's part of a project to restore the famed Coventry Cathedral, destroyed in a Nazi air raid over a hundred years earlier. But then Verity Kindle, a fellow time traveler, inadvertently brings back something from the past. Now Ned must jump back to the Victorian era to help Verity put things right--not only to save the project but to prevent altering history itself. Oh, Connie. You did it again! I fell in unconditional love with her Hugo- and Nebula-award-winning Doomsday Book when I read it in October, the first of her "Oxford Time Travel" series. While DD was a split between comedy and tragedy, with a time-traveling historian stuck in the Middle Ages while a deadly virus sweeps Oxford in 2057, TSNotD goes full-tilt comedy of errors/romance/mystery in the Victorian era. Willis is masterly in her attention to historical detail without devolving into textbook-style writing—I learned plenty about the customs and architecture of Victorian England while following Ned and Verity's desperate attempts to correct an accidental historical incongruity, all the while juggling lovesick schoolboys, pedantic professors and quite the difficult cat. As with DD, it's an imperfect tale—I saw some of the plot twists coming a mile away, and the story can fall prey to a lot of uneventful back-and-forth between the characters (And then they called X, who called Y, who went to see Z... etc.). 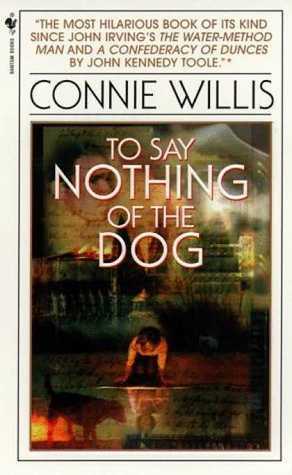 I also found it to be a somewhat less thrilling story, perhaps because I know Willis's formula from DD. Nevertheless, this was an absolutely worthwhile, utterly enjoyable romp. I'd recommend it for anyone who likes a dash of historical fiction with their sci-fi/spec-fic. The Lord of the Radch has given Breq command of the ship Mercy of Kalr and sent her to the only place she would have agreed to go -- to Athoek Station, where Lieutenant Awn's sister works in Horticulture. Athoek was annexed some six hundred years ago, and by now everyone is fully civilized -- or should be. But everything is not as tranquil as it appears. Old divisions are still troublesome, Athoek Station's AI is unhappy with the situation, and it looks like the alien Presger might have taken an interest in what's going on. With no guarantees that interest is benevolent. I've just started this one, the second in Leckie's Imperial Radch series. (Fun fact: I was the first person to check it out from my public library, and thus the first check-out stamp in the front of the book! Total bucket list item.) I read the first, Ancillary Justice, on the recommendation of a friend, though even he wasn't sure how he felt about it—I think he wanted me to read it so he'd have someone to discuss it with! It received wide accolades from critics, in addition to five different sci-fi awards! It's gotta be good, right? Well... yes, but I'm not sure it was all that and a bag of chips. As I wrote for my GR review (before I had a blog): "I would actually say this was more of a 3.5, but rounding up made more sense to me than down for the sheer originality of the storytelling and some of the bigger questions the author grappled with (the multitudes inherent to the self, fate vs free will, etc). I was fairly confused during the start of the book and, though it ebbed away in the middle, found myself somewhat befuddled by the ending. Of course, this is merely the first in a series, so I know many of the things that seem unclear (was it the Presger? the Garseddai? who am I supposed to hate here?) will be resolved later." Anyway, I'm excited to see where the second installment takes me. I'm only about twenty pages in so far, so no real thoughts to report. So, readers: how do you distinguish sci-fi from spec-fic? Have you read any of these books (and if so, what did you think)? Any recommendations for me?